In 1980, the renowned sports announcer, Al Michaels, asked the following question: "Do you believe in miracles?" The question was asked as the United States Olympic Hockey Team was in the process of a major triumph over the previously invincible Russian Olympic Hockey Team. 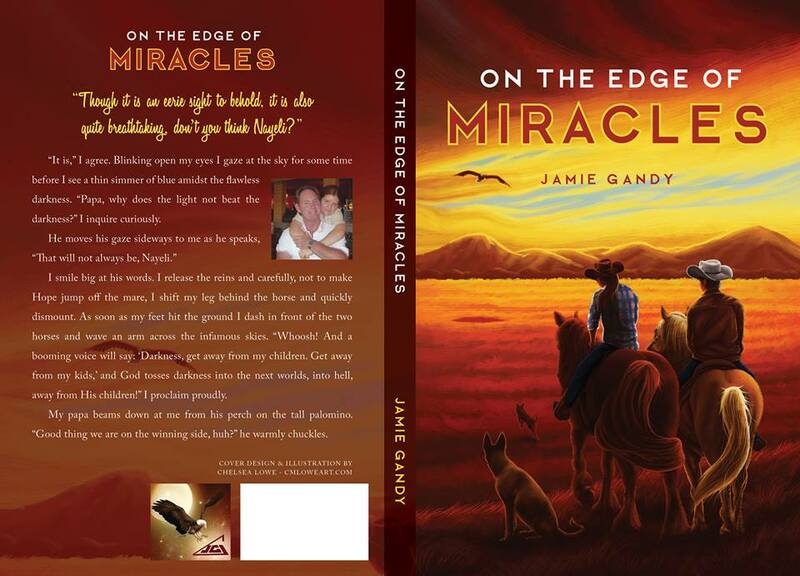 Jamie Gandy's new book "On the Edge of Miracles" asks the same question, only UNSPOKEN this time. This is a story that is perfectly written about imperfect people. Some of the characters love God, others do not, but regardless, God shows up in so many ways in all these people's lives to weave HIS PERFECT PLAN. Some people will chalk up so many things to "coincidence." Even God uses "coincidence" to achieve HIS SOVEREIGN PLAN. I prefer to use the word "miracle" because "coincidence" is way to generic a term to describe our God and His love for His creation. Do you believe in miracles? I challenge you with that question after you read this superb book!